During his extensive travels, Paul has been both an established figure for the youth and also a musical ambassador for the re-united Germany. Closer to home – both geographically and personally – his social enterprise work in Berlin includes his charity Rückenwind, which has led to regular dialogue with Germany’s politicians and policy makers on diverse issues. The album is a continuous mix of new tracks, including collaborations with David Byrne of the Talking Heads, Rea Garvey frontman of Reamonn, Ashley Tomberlin of Luminary, Alex M.O.R.P.H., Lo Fi Sugar or Ryan Merchant and Wayne Jackson. It also includes some trance instrumentals tracks. The first single 'White Kies'features Jessica Sutta of the Pussycat Dolls. Born December 16th, 1971 in Eisenhuettenstadt, East Germany, Paul grew up in communist East Berlin. Prior to Germanys reunification, he at least had an early window to the capitalist world via the cross-border airwaves. Then in 1989, as the wall finally came down, a broad Club culture sprung up throughout all of Berlin. "Mainly they played that hard Detroit - Techno. I liked this energetic spirit, but something was missing. I was looking out for something else." That search would never leave him. Stemming from two crusty old turntables, the first remix tapes of his musical ideas were created. And only a bit later, in March 1991, his unique style of dance music was played for the very first time to the public at the embryonic Berlin club "Tresor". Around this same period, Paul also started making his own original compositions. His first production "Perfect Day", put together with Cosmic Baby as "Visions of Shiva", was released in 1992. "I was pleased like a little child, holding my own very first record in my hands! Paul remembers. "Perfect Day" was published by the Berlin underground label MFS, and launched a promising career, which aimed without pause or hesitation for the top. 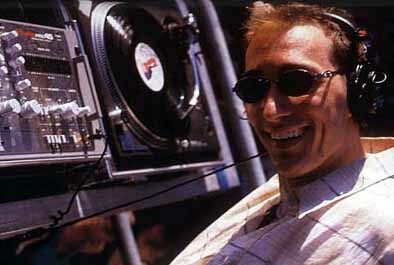 In 1993 Paul created the club hit of the year with his remix of Humates "Love Stimulation". The following year, his first album "45 RPM" was recorded, while he was also regularly spinning sets at the legendary club E  Werk. Over the next few years Paul garnered further respect by remixing tracks of many renowned artists such as Inspiral Carpets, Sven Vath, Curve and New Order. This was of course until the release of his second album, "Seven Ways", which firmly established him as one of the worlds great electronic artists. Seven Ways unleashed a frenzy of national and international interviews, and many globe-roaming DJ sets as well, as Paul was catapulted into the Top 100 - Salecharts. Even the English music media, typically protective of their own homespun DJ artists, unanimously praised the record. Readers of "DJ Magazine  voted Seven Ways as the Number 1 album of the year. Bellowing singles such as "Beautiful Place", "Forbidden Fruit" and "Words", featuring remixes of Salt Tank, Quattara and Curve, fully secured him a place as a major player in the British and European dancecharts. Before the club closed, Paul became an institution at Berlins E  Werk, regularly spinning new musical magic, with guest appearances by fellow superstar DJs Nick Warren, BT, Dave Seaman and Sasha. In 1998 his first album "45 RPM" was released in the UK, and the new remix of the single "For an Angel" attacked the worldwide dancefloors. The album buzzed for two weeks at number 1 in England and four weeks at number 1 in the German dancecharts, and also achieved major postings in the American, Australian, Dutch, Belgian and Scandinavian dancecharts. 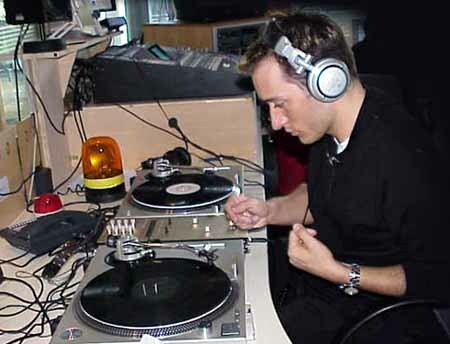 "As I began my career as a DJ I discovered that there is a really deep communication between DJ and people. I learned to observe the different vibrations, learned how to move the crowd, and how to create atmosphere. In 1999 Paul was divorced from his former label MFS and started up, together with his team, the new label "Vandit" Records. This label presents both Pauls releases, as well as other new and innovative dance/DJ artists. The triple-CD "Vorsprung Dyk Technik" (33 tracks, released in England 1998) is the most exhaustive collection of Pauls remixes to date, containing classics like Humates "Love Stimulation" and Joe T. Vanelli s "Playing with the Voice in Germany" as well as Binary Finarys clubhit "1998" and Pauls own chart single "For an Angel". A year after its release, in Nov 1999, "Vorsprung Dyk Technik" was officially declared "Silver" with over 60,000 UK sales, a very rare feat indeed for a Triple-CD. Paul´s third album "Out There and Back was released in summer 2000 and went straight in the Top 20 album sales charts in the UK and Germany. Singles like 'We are alive' and 'Tell me why' entered the sales charts with top positions in the UK on number 7 and 14 in Germany. In October 2001 was the release of the Columbia EP. This record is rounding off with the new remixes from the 'Out There And Back' album as well as the 3 new tracks 'Movement' ,Out There' ,' A Different journey to Vega'. Today Pauls touring diary is incredibly hectic with regular globetrotting stops at major venues in London, Melbourne, Mexico, New York and Singapore. Between all that, Berlin is always there and waiting, if not for the interviews and local club dates, then for looking after his own label, recording studio and radio show (not to mention his friends and family as well). the music comes directly from my stomach, my music springs from an intense feeling. And every track has its own little story..."
On the 5th of November 2001 Paul`s first mix CD since 8 years was released on Ministry of Sound. The Politics of Dancing is a new mixture of artist album and mix CD. Paul reworked most of the tracks in the studio before he started mixing. The Politics of Dancing is the first compilation that was released on the same day worldwide. Remember the beginning of the 1990´s ? We all said that this was as much a political movement as it as a cultural one. But now clubs are getting closed by the authorities. They don´t understand and accept it as a global youth culture. That´s what I wanted to make aware off that´s for me Politics of Dancing". Paul just finished his work for the soundtrack of the mexican film Zurdo. Now he concentrate on his fourth artist album to be release in September 2003. "Nothing But you", his first single out of the new album "Reflections" will be released on Mute Records in the US, Positiva in the UK as well as several other labels around the Globe.